Tis the season for apples, pumpkins, and everything fall! 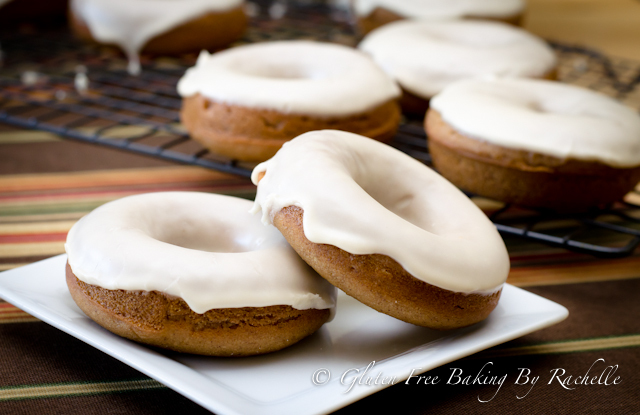 I have been craving donuts for so long but never got around to actually making them. I bought the donut pans a long time ago and have never used them (I have no idea why) But that all changed yesterday. I got so excited about this recipe because it has been so long since I have had a donut for one, but for two this was a donut that wasn't going to destroy my tummy, thank goodness. This donut is full of flavor and very cake like and moist. Nothing worse than a dry donut to try and choke down. I brought some donuts to my neighbors who loved them and the kids loved them so much they almost ate them all except one which I saved for my husbands lunch, however the donut didn't make it to the lunch bag, but his tummy instead. I will be making these donuts again and again in a variety of different flavors. Spray donut pan with a non stick spray and set aside. In a medium bowl add, gf flour, baking powder, cinnamon, ginger, nutmeg, and sea salt. Whisk dry ingredients until combined. In a glass measuring cup add milk and apple cider vinegar, stir until mixture becomes curdled. In a stand mixer add maple syrup, vegetable oil, vanilla extract, and brown sugar. Slowly add the dry ingredients and then milk mixture. Beat until smooth, scrape the sides of the bowl and mix for 10 seconds. Using a piping bag or a ziploc bag (I used a ziploc) pipe mixture into donut pan. Remove donuts from pan to a wire rack and cool completely. In a small bowl add confectioners sugar, coconut milk, maple syrup, and vanilla. Dip the top of donut into glaze and place donut back on wire rack to dry. These look absolutely AMAZING! 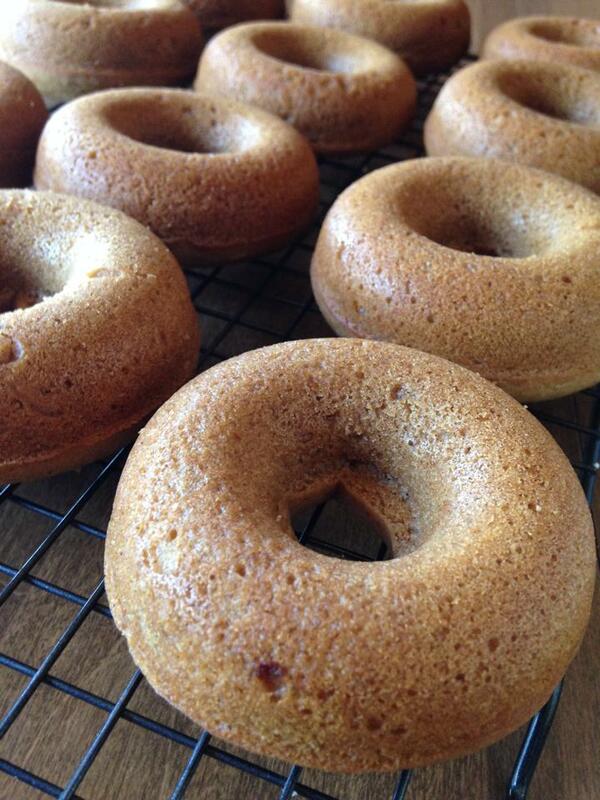 My husband hasn't been able to have apple donuts since he got celiac; he will really appreciate this! Thank you so very much Suzanne!! These taste fantastic!! My family LOVED them! I just ate 2 of these, barely letting the glaze set. They are delicious. Even though my milk didn't curdle and I added the applesauce at the end, they are yummy. I made 16 donuts because my batter was liquid. I just hope that I don't eat the rest of them today.